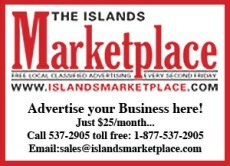 Serving Salt Spring, Pender, Mayne, Saturna, Galiano, Denman, Crofton, Chemainus, Duncan and Ladysmith. List your boat, real estate, event listing, miscellaneous for sale for free. Upload your free ads for non-commercial advertisers only.